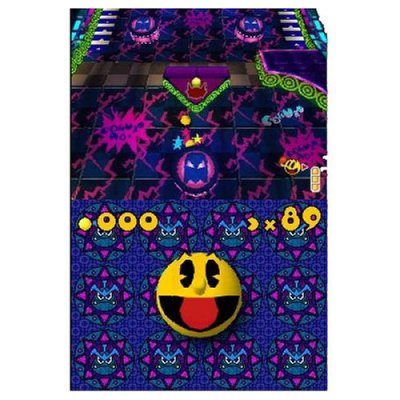 Everyone knows Pac-man from his highly addictive debut arcade game, but for a while now Pac-man has been taking a walk on the wild side and venturing into the world of 3D. 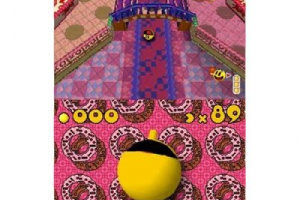 So it came as no surprise to see that the yellow gobbler has made it onto another DS game, this time 3D. 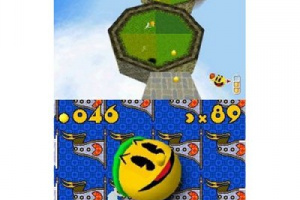 And Thus starts the Pac 'n Roll experience: For me, and many other gamers, Pac-man has.. 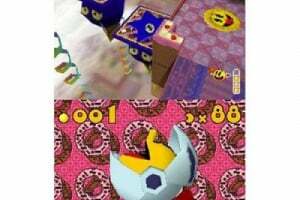 In "Pac'N Roll," the inhabitants of Pac-World have been turned into spheres by the evil monster Golvis' Ghost Light. 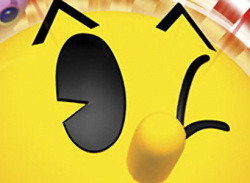 Pac-Man must roll his way through Ghost-Land, collecting pellets and confronting Ghosts to save his family and restore peace to Pac-Land. 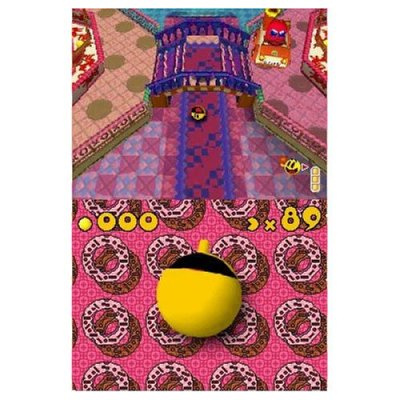 Introducing an innovative new control scheme, "Pac'N Roll" lets players control Pac-Man with the Nintendo DS stylus. 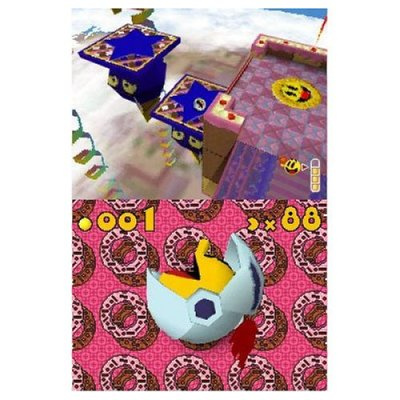 Players can roll and dash around the environment as well as execute maneuvers such as hairpin turns, immediate stops and precision rolling with effortless strokes of the stylus. 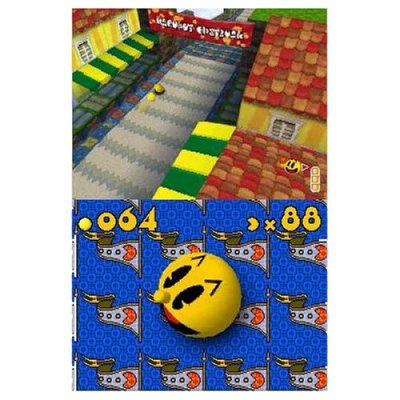 "'Pac'N Roll' utilizes the unique capabilities of the Nintendo DS to introduce an innovative and intuitive new control scheme," said Yoshi Niki, Business Director with Namco Hometek Inc. "Players are sure to enjoy Pac-Man's latest adventure, and delight at the ease and simplicity of controlling him throughout the game." 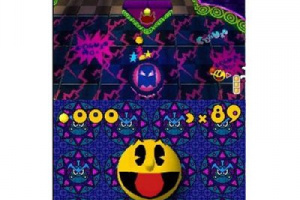 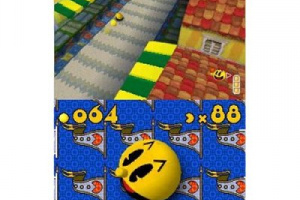 In his quest to save Pac-Land, Pac-Man will venture through stages such as Castle Pac, Gyro-Jungle and the Ghost House, while facing perilous hazards like moving floors, dash panels, jump zones and wind zones. 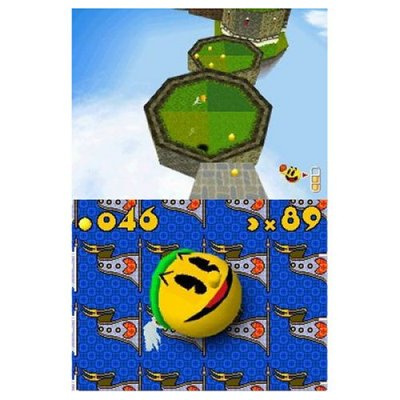 Along the way, Pac-Man will find power-ups like the "Winged Chocolate," allowing him to fly through the worlds and jump over Ghosts, or the "Knight Chocolate," providing him with armor which grants him the power to crash through walls and withstand more damage. 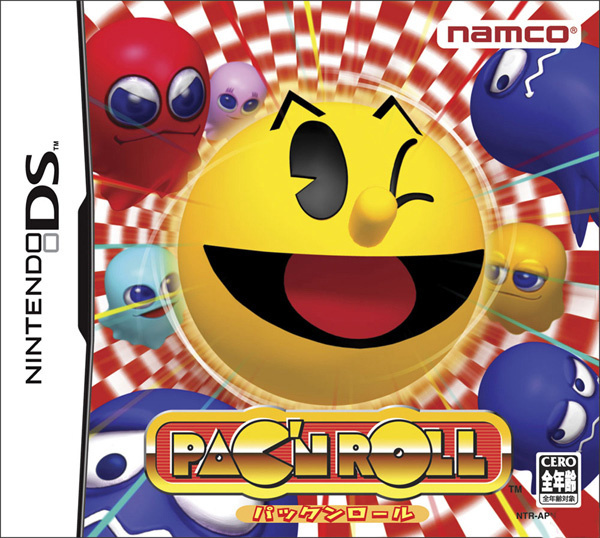 "Pac'N Roll" also includes the original Pac-Man arcade game, allowing up to two players to munch on pellets and claim the highest score.